Black tea benefits are myriad and these are mostly due to the wealth of antioxidants that are contained in its leaves. Black tea is derived from the leaves of the camellia sinensis plant which is the source of all true teas. It is an extensively oxidized variant of the leaves. Due to it undergoing the chemical process of oxidation more extensively, it possesses a stronger, more distinct flavor than the other tea varieties that are exposed to less oxidation. 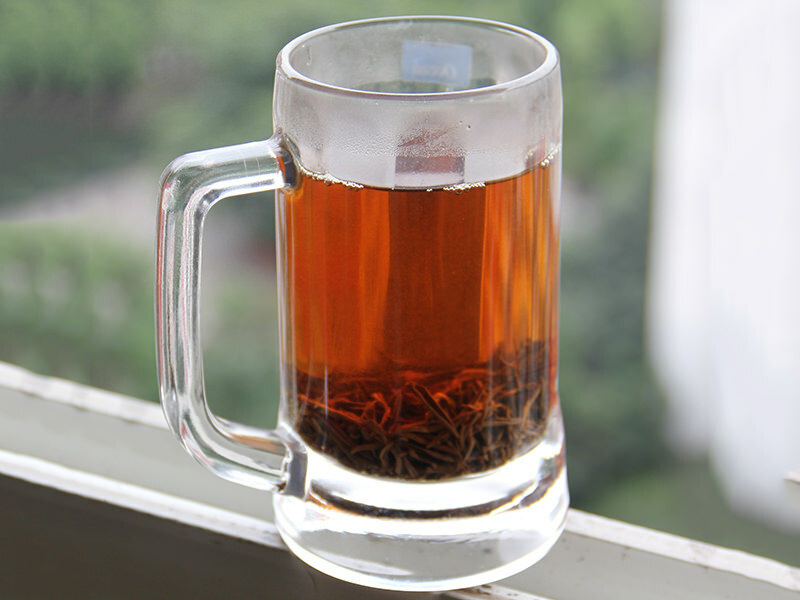 Drinking and brewing tea originated in antiquity. Legend has it that the Chinese emperor Shen Nong discovered the wonders of this drink when tea leaves accidentally dropped into his cup of hot water. He declared it to be a great-tasting drink and thus, the custom of drinking tea was said to have begun. As the practice spread throughout China, the people discovered that the green leaves produced a unique and stronger flavor and turned a darker shade if they underwent the special oxidation process. From China, the practice of drinking China spread westward to the Indian subcontinent, the Middle East, Central Asia and Europe. Black tea may help fight cardiovascular ailments. The presence of antioxidant polyphenols appear to help reduce triglyceride levels in the body. These unhealthy fats play a big part in the development of ailments that threaten the heart. Black tea may help fight cancer. Antioxidants in black tea are believed to help strengthen the body's ability to counter free radicals that damage the cells. It is believed to help promote good oral health. Components in black tea are believed to help fight bacteria such as lactobacillus that are linked to the development of tooth decay and gum disease. Black tea may be helpful in promoting strong bones. It is believed that components in the brew may be helpful in strengthening bone mineral density in individuals. It may help lower the risk for diabetes. The beneficial antioxidants in black tea is believed to help block the enzyme that turns starch into glucose. Studies have likewise shown that these may aid in slowing down the absorption of sugar by the small intestines. Black tea may help fight effects of stress. Components in black tea are believed to help reduce the levels of cortisol, a stress hormone, in the blood. It may help increase energy levels. The caffeine in black tea is believed to aid in boosting energy levels in the body.